Taking full advantage of the multi-touch screen and the built-in accelerometer, iOS app developers are constantly creating revolutionary musical instruments that marry gesture and sound generation like never before. And with the TASCAM iXR, these instruments can finally explore their full potential. No longer does the iPad wielding soloist need to rely on mini-plugs and adapters; the iXR makes a direct digital connection via the lightning port and uses professional quality digital to analog converters and balanced output to deliver a clean, clear signal to the recording or live sound engineer. Whether you’re using a simple recording app like Garage Band, or working with a full-featured DAW, the TASCAM iXR can turn any location into a professional recording space. 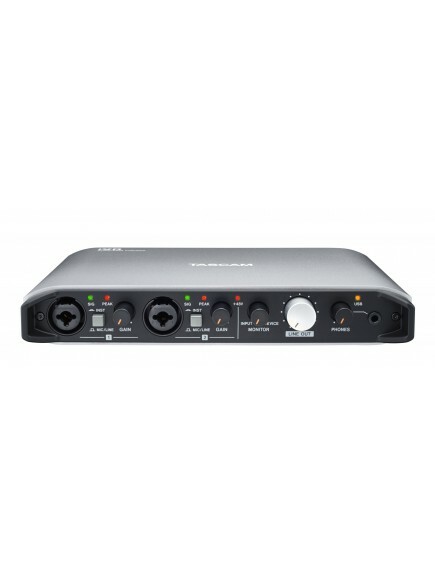 Sporting dual XLR ¼” Combo jacks and TASCAM’s unique HDDA microphone preamps, iXR allows you to easily connect any guitar, bass, keyboard or studio microphone with stellar results, which seamlessly combine with virtual instruments performed by your iPhone or iPad. Add in latency-free monitoring, a powerful headphone amp and balanced stereo outputs and you have a truly pro-quality recording rig that can easily fit into any messenger bag or backpack. 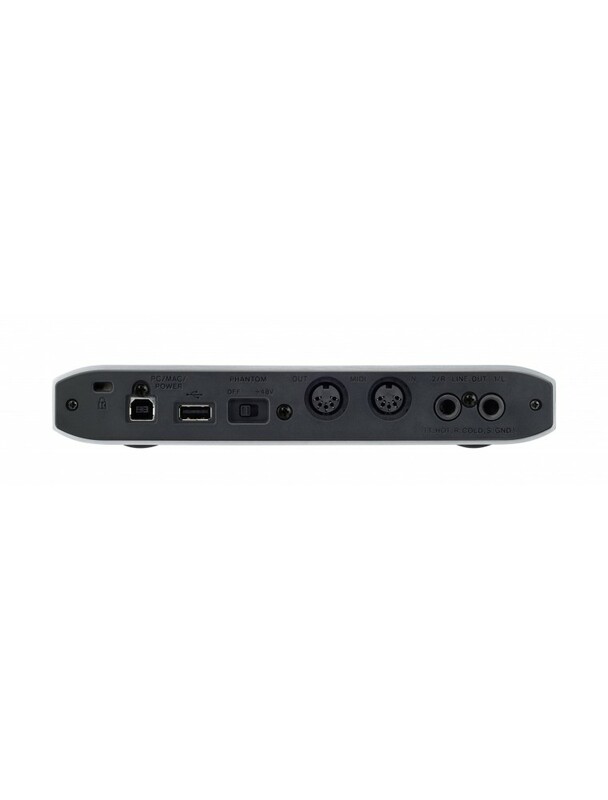 And when you get home, iXR connects directly to your Mac or PC to deliver the quality and reliability that you’ve come to expect from a TASCAM audio interface. 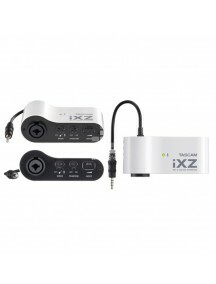 Turn any room into a personal Karaoke club with the TASCAM iXR. With over 100 Karaoke apps and thousands of songs available, the iPad is the perfect sing-along band leader. And with iXR, you’ll be up and crooning in moments. Plug in your microphones, connect your iPad and stereo output to your PA or speaker system and you are good to go. All that’s left to do is to pick out your favorite song and get ready to start signing autographs. The iXR includes a free license for Cubasis LE, a full-featured multitrack recording system for your iPad. Record vocals, play with software synthesizers, and mix with plug-in effects for a complete production all from your tablet. When you're ready to take your production to the next level, the iXR also includes Cubase LE for MacOS and Windows. Also available is the iXR TRACKPACK, which includes a TASCAM TM-60 microphone, desktop stand, cable, and vinyl protective cover for the iXR.